Living well has never been so effortless. 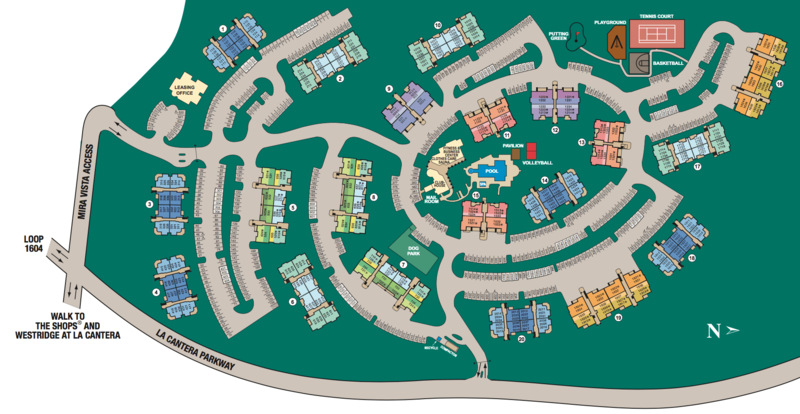 At Mira Vista at La Cantera on the northwest side of San Antonio, Texas, our one, two, and three bedroom apartments are designed with all the comforts of a luxury home. Stay cool in the hot months with central air conditioning and on a chilly Texas evening, cozy up in front of the fireplace. 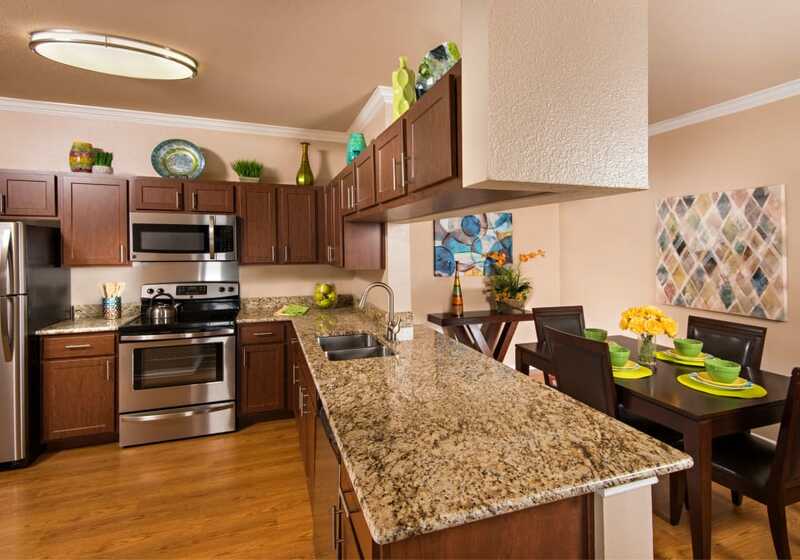 Your chef-inspired kitchen is fully appointed with upgraded cabinets and stainless steel appliances. With a convenient in-home washer and dryer, you’ll have quality time in your day to enjoy the golf course views from your private balcony or patio. Step into style with luxury apartment features and smart design elements in your new Mira Vista apartment home. We’ve seen to all the details, from spacious layouts to clean, contemporary finishes. Contact us to learn more about luxury pet-friendly apartment living near La Cantera in San Antonio, TX.